Finally a mechanical disc brake for mountain bikes and fat bikes that offers superior performance and is a snap to set up. The TRP Spyke is a dual sided mechanical brake where both pads actuate providing even and precise clamping force. This translates into even pad wear and, with the addition of a simple cable barrel adjuster, the pads can be adjusted easily and hassle free. No frustration at completely adjusting the whole caliper, only to have it continue to drag the fixed side, adding wear! All of this in a 169g package that works with any of the linear pull levers on the market. 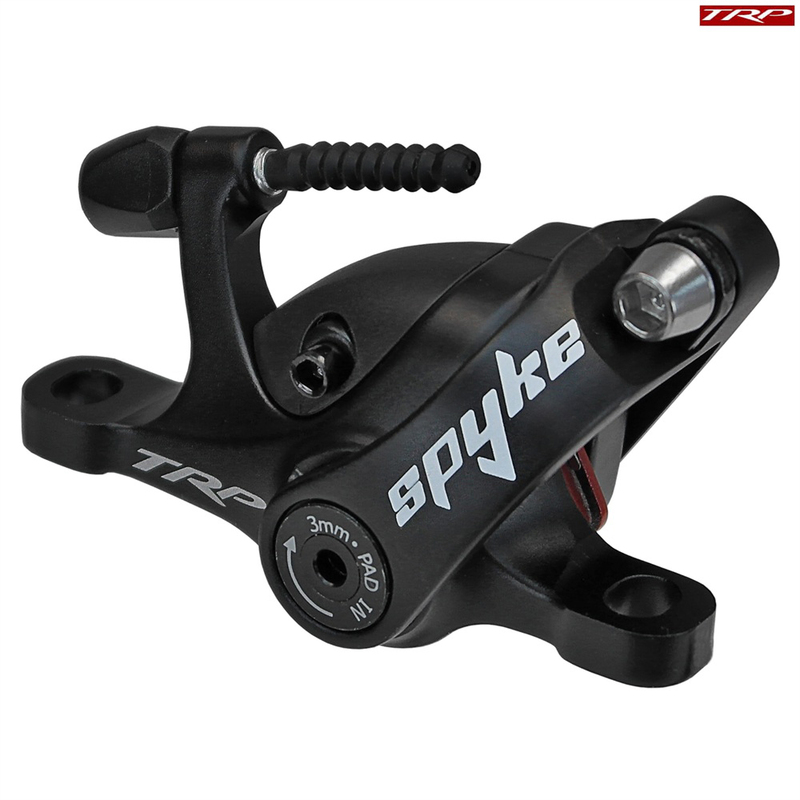 The TRP Spyke mechanical disc brake can be used with a 160mm or 180mm rotor. Rotor and mounts sold seperately. One brake caliper for front or rear use per pack. I have BB7 rear disc brakes what do I need to change to the spyre rear disc brake? Hi, please, which cable routing of this brake would You recommend for a Nomad Mk II ? Thanks! You can use either the top or the bottom routing, it is not bike specific. The product listing says that this is only the caliper and it lacks "mounts". What other part needs to be ordered along with this in order to install it on the rear of a Thorn Nomad Mk2 frame?